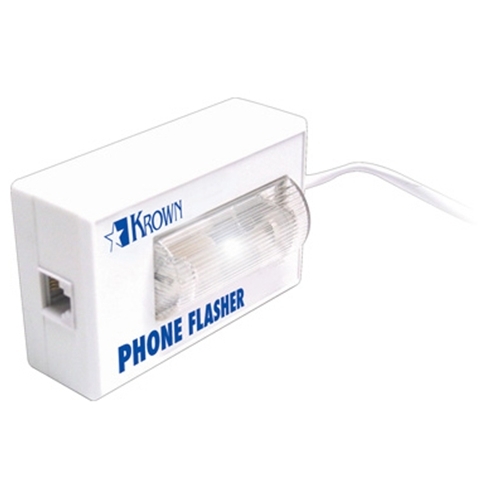 Krown Phone Strobe Flasher from HealthyKin.com is an all-in-one product powered by the phone line - no additional power supply needed. The improved dome shape spreads light to better signal and an incoming call. Will work with some telephone PBX system and video phone equipment. Performs as advertized. I cannot hear the phone without it. The flashing strobe is bright and easy to see. Time will tell about its usage life.